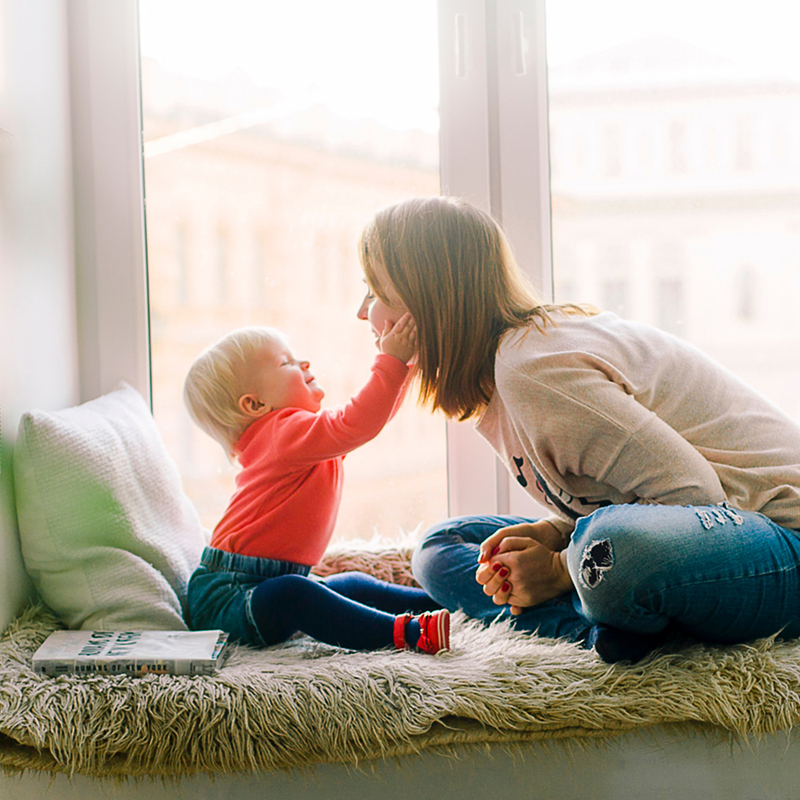 If there’s one milestone every parent looks forward to (well aside from the moment their child calls them ‘mama’ or ‘dada’), we’re pretty sure that’s when the kid is already potty-trained. But the thing is, just like most of the child development milestones, there is no absolute ‘set time’ in starting potty training. It varies with every child, with every family. Some start as early as 20 months old while some only become successful by 4 years old. So even if you say you have already purchased the best kind of potty trainer or toilet step stool for your kid, you can’t just immediately decide on your own that you’re going to start potty training now. Timing is really everything in potty training. Actually, your success depends more on your child’s readiness than his age. So make a checklist out of these tell-tale signs. And once you see all these present, then it’s now time to finally give up those nappies and start using those trainers and make ready those toilet step stools! Mix tequila, cointreau, lime juice, and syrup together in a pitcher. Chill in the fridge if you’re making it ahead. When ready to serve, fill your pretty cocktail glasses with crushed ice, pour in the margarita mix, and garnish with a lime wedge. Pour the wine into a large ( 13 x 9 or larger ) sheet pan. Freeze for at least 6 hours. While waiting, make simple syrup by bringing water to a boil then adding the sugar while mixing. Reduce heat to low and stir until all of the sugar is dissolved. Add the strawberries to the sugar syrup and give it a solid stir. Let that mixture sit for around 30 minutes to infuse the simple syrup with the flavor of the strawberries. Strain the strawberry syrup through a sieve, but don't mash the strawberries. Let it flow through naturally. (You may save the strained strawberries to put on your cocktails or desserts.) Chill the strawberry syrup for 30 minutes. Add 3 ounces of strawberry syrup, 2½ ounces lemon juice, 1 cup of ice, and the frozen wine to a blender and blend until smooth. Serve in your rose gold glasses to make them prettier and more inviting. Choose your prettiest party glasses and prep them by putting a bed of crushed ice (about ⅓ will do). 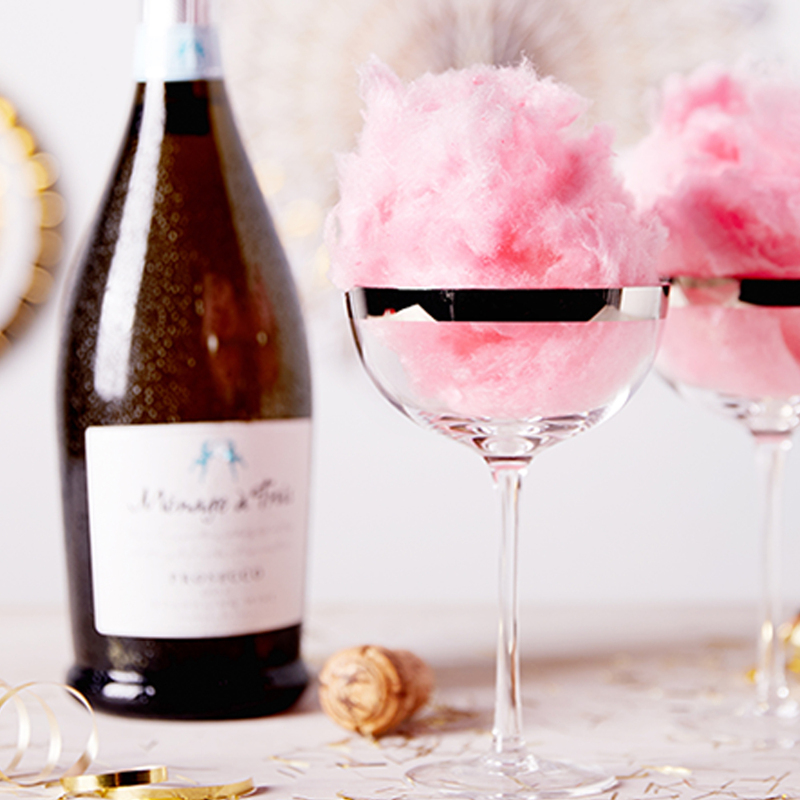 Quickly put poufs of your pink cotton candy inside each glass. Pour the champagne. Top with a smaller pouf of your other cotton candy and sprinkle with some pink sugar. Serve immediately. Simply blend all ingredients then serve in cute rose glasses with some crushed ice (or not). Enjoy! Just like our beautiful and oh-so-reliable rose gold disposable party cups, these cocktail recipes will surely make your all-girls soiree a night to remember! But even if it’s no longer Women’s Month, do whip up these pink cocktails for a pool party, a bridal shower, or a birthday celebration-- because honestly, who would dare resist these? #TheStruggleIsReal--when talking about juggling full-time work and managing a household on a daily basis, this hashtag is an understatement. And we’re pretty sure every busy parent out there will agree. While you try your hardest, more often than not, you still find yourself asking why does one day only has 24 hours. Make meal planning a weekly activity for the family. Plan school/office lunch meals, breakfast, and dinner with the whole fam. By planning meals ahead, you can save lots of time and effort because that also means you’d have to do weekly bulk grocery-runs and advance cooking/prepping. 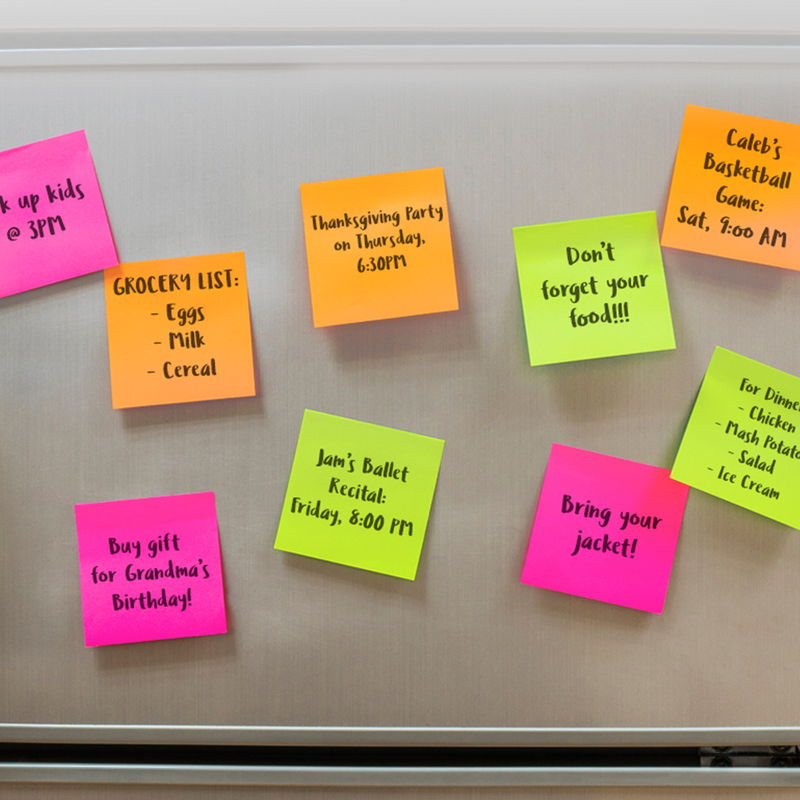 Put the cooked meals inside the fridge or your freezer and just label the containers using mini sticky notes (indicating the day and meal time it is for). Deciding and preparing everyone’s wardrobe every single morning also takes time. Allot a shelf at home for each member’s set of clothes for the next day. So every night, pick out clothes for everyone and just write on a stick note for them to quickly know which one is theirs. This one’s an old trick but it still works up to this day and age. Assign house chores to each member regardless of how young or old they are. It’s up to you if you want to shuffle it on a weekly or monthly basis, just remember to stick memos on to your family board so that everyone is updated. Instead of having one laundry day every week to wash everyone’s clothes, allot one day for each family member. Load the dirty clothes first thing in the morning and then transfer them to the dryer before you leave for the office. With this strategy, you won’t have to sort the clothes out anymore and you can even have the family member be responsible for folding and putting their own clothes in their cabinets. While every family member helps out in the home in addition to schoolwork or officework, stress and squabbles are inevitable. Encourage everyone to resolve things quickly. Let every one be used to sending each other short notes of love, forgiveness, care, and affection. Of course you can send texts and online messages, but still nothing beats small notes of love! Pasta is an all-time favorite quick-fix especially on busy weeknights. But more often, the ‘quick-fix’ part only applies to when you have bought a ready-made pasta sauce from the grocery sauce. Sadly, those pre-packaged pasta sauces are a hit-and-miss kind of thing. 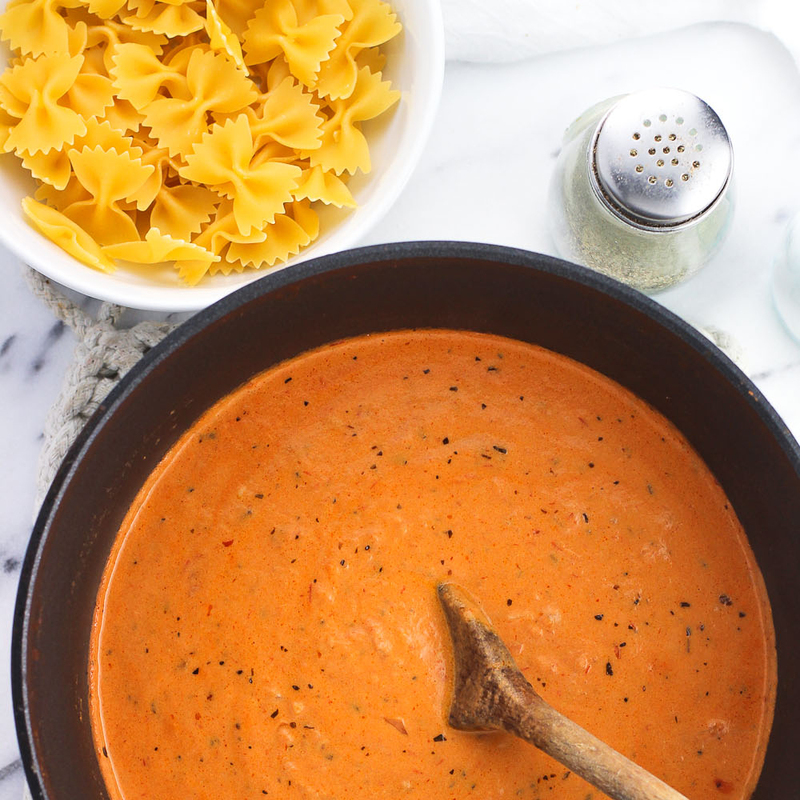 So to save you the time, money, and effort, you can just make your own pasta sauces at home without compromising your palate ever again! And because our durable giara glass bottles are just heaven-sent, you can conveniently (yett stylishly) store and serve them up whenever you like. Try out these basic pasta sauce recipes, stat! Heat the butter, milk, and cream in a heavy-bottomed saucepan over low heat. Simmer very gently for about 20 minutes, adding the cheese 1 tablespoon at a time. Season with salt and pepper to taste. Transfer to your giara bottles and you may store them up the freezer for 1-2 weeks. Warm 1 tablespoon of olive oil over medium-high heat. Add the onions and sauté until softened and translucent, 5 to 7 minutes. Stir in the garlic and sauté until fragrant, about 30 seconds. Add the tomatoes and their juices to the pan with the onions. Crush the tomatoes in your hand as you add them, or smash them against the sides of the pan with your spatula. Alternatively, you can cut the tomatoes with kitchen shears while they're still in the pan. Add the bay leaf, salt, and fresh herbs like thyme and oregano to the pan with the sauce. If you're adding basil, wait to add it until the end of cooking. Bring the sauce to a rapid simmer, then lower the heat to medium-low to maintain a gentle simmer. Continue simmering until the sauce is slightly reduced and thickened, about 20 minutes. Remove the bay leaf and any herb stems. You can keep this in the fridge for about a week and you can freeze for up to 3 months in a durable glass bottle. Heat the butter and olive oil in a dutch oven or large sauté pan over medium heat. Add garlic and tomato paste and sauté for 30 seconds, or until the garlic is fragrant. Add the boxed or canned tomatoes, bring the mixture to a boil, reduce and simmer gently for 10 minutes. Add the vodka and simmer another 10 minutes. Stir in the heavy cream and simmer gently for 10 more minutes (be sure not to boil the sauce at this point, as the cream might separate). Add the sugar, taste for seasoning, and finally stir in 1 cup finely grated Parmesan cheese. Place first six ingredients in a blender or food processor and blitz until smooth; fold in grated parmesan. Serve immediately with hot or room temperature pasta or sprinkle with more olive oil before transferring them into glass storage bottles. Store in the fridge for up to 1 month. We’ve intentionally put ‘basic’ to all the recipe names to emphasize that you can add variations to the sauces whenever you feel like it. You may add bacon to the alfredo sauce, Italian sausages to the marinara, mushrooms to the vodka sauce, or chicken strips to your pesto sauce. The best part about all these is that because you can store them for later using our classic giara bottles, you can enjoy delicious homemade pasta dishes in as easy as 1-2-3! Far from the ‘coal’ that we all know and use to grill our favorite steaks and barbecues, bamboo charcoal is way more amazing than that. Once activated by the sun’s UV rays (when the porous holes of the charcoal are freed of the previously adsorbed particles, pores are made small again, and the UV rays of the sun makes more holes increasing its surface area more), it makes them incredibly effective! Now effective in what? You may (or may not) already know that the activated bamboo charcoal in our popular air purifying bags are heroes in bad odor removal, moisture absorption, and allergen elimination, among others, there’s actually a lot more things you can do with them. Adding a layer of activated charcoal underneath the soil at the bottom of the plant pot can and will make your leafy babies grow even healthier. The bamboo charcoal frees the soil of many impurities including small insects, toxins, and mold. And as an added bonus, since they’re extremely porous, if you’re guilty of over-watering (more often than not), they will help keep your plants alive by absorbing all the excess and preventing root rot. Ground or powdered activated bamboo charcoal is also widely used to treat skin infections because of its amazing antibacterial properties. It effectively absorbs harmful microbes and irritants. There are different formulas/recipes you can use to quickly soothe insect bites, treat rashes, get rid of acne, dress wounds, and even draw out splinters. Activated charcoal is also your ultimate water filtration accessory. Just like how it absorbs all the toxic particles from the air you breathe, it does the same to water. Far better than the expensive store-bought filters, it just naturally cleans your tap water, aquarium water, and even your drinking water. Bamboo charcoal actually contains minerals (like calcium). So if you want fresh mineral water made in the comfort of your home, using activated bamboo charcoal is the way to go. Ever heard the rumor that the common drugstore-bought underarm deos actually make armpits dark and more smelly? Well, while we don’t have concrete proof on that, there’s one that we’re sure of: activated bamboo charcoal won’t ever do that to your precious armpits. It will even deep cleanse and detoxify them, making them less prone to odors. You can easily find different formulas on how you can make these, so try it out and it might just change your life! Not known to many, bamboo charcoal is actually an ancient remedy to counteract toxin and poison in the body. It can adsorb up to 50-60% of unwanted substances in the stomach and intestines when taken quickly after ingestion. People suffering from food poisoning or those who have been poisoned after being exposed to substances like bleach, mercury or pesticides are given activated bamboo charcoal. It just quickly binds with the harmful particles, preventing their absorption in your body, and allowing for quicker elimination. Still not convinced on how amazing activated bamboo charcoal is? Then don’t let these pressure you. Instead, take baby steps by allowing them to show their wonders as these cute yet effective air purifying charcoal bags. Now once you’ve witnessed and experienced their amazing benefits, feel free to repurpose them, just like the 5 we have earlier mentioned. Just remember to re-activate them for about 1-2 hours before you use them for another purpose. Whisk the eggs in a small bowl. Add a dash of cold water and a pinch of kosher salt, whisk again and set aside. Heat a large fry pan to medium high heat and cook the sausage, breaking it into chunks, until it's browned. Add the cherry tomatoes, mushrooms and green onion and cook, stirring only a few times so the tomatoes start to blister and the mushrooms lightly brown. Add the spinach and cook until it wilts. Transfer the mixture to a bowl. Wipe the pan clean then spray with non-stick cooking spray and heat on medium high heat. Add the eggs and let them cook undisturbed until they start to bubble and the edges begin to cook. Gently stir and fold the eggs until most of the liquid has cooked. Add the sausage mix to the eggs and fold. Add torn pieces of mozzarella cheese, and fold into the eggs. If the cheese doesn't want to melt, cover with a lid for 30 seconds or so. Heat the flour tortillas in the microwave for 15 seconds. Fill each tortilla with a scoop of the egg mixture, fold into a burrito and serve using our taco holders with hot sauce or salsa. To make steak marinade: Whisk together grapefruit juice, soy sauce, garlic, and freshly ground black pepper. Pour over steak, and marinate at room temperature for 10 to 30 minutes while you make the sauce and filling. To make tandoori sauce: Whisk together yogurt, grapefruit juice, garlic, honey, tandoori powder, and ginger. Salt and pepper to taste. Pour into a small saucepan with 1/4 cup water. Cook over low heat, about 10 minutes, until thickened. Set aside. To make filling: Toss grapefruit, cucumbers, green onions, and mint with extra-virgin olive oil. Salt and pepper to taste. Set aside. To cook steak: Cook steak in a very hot cast iron skillet, about 3 to 5 minutes per side. Remove it from the pan, and let it rest for 5 minutes. Slice thinly against the grain. To assemble wraps: Place lettuce leaves on a plate. Place a couple of pieces of steak in a romaine leaf, top with grapefruit filling, and drizzle with tandoori sauce. Wrap or roll however you want them. Serve immediately without fuss using our stainless steel taco holders. Place the bacon in a large skillet and cook until crisp. Transfer to a paper towel lined plate and set aside. Place the chicken in a large bowl and season with salt and pepper. Add the mango, 3 tablespoons of the mayonnaise and the lime juice. Remove the pit and skin from the avocado and place in another bowl. Roughly mash, season with salt and pepper, then stir in the remaining 3 tablespoons of mayonnaise. Lay a tortilla on a work surface and spread 1/4 of the avocado mixture over the tortilla, leaving a 1-inch border. Layer 1/4 of the lettuce down the center, followed by 1/4 of the tomato, 2 slices of bacon, then 1/4 of the chicken mixture. Fold in the 2 sides of the tortilla, then roll up like a burrito. Repeat with the remaining tortillas and ingredients. 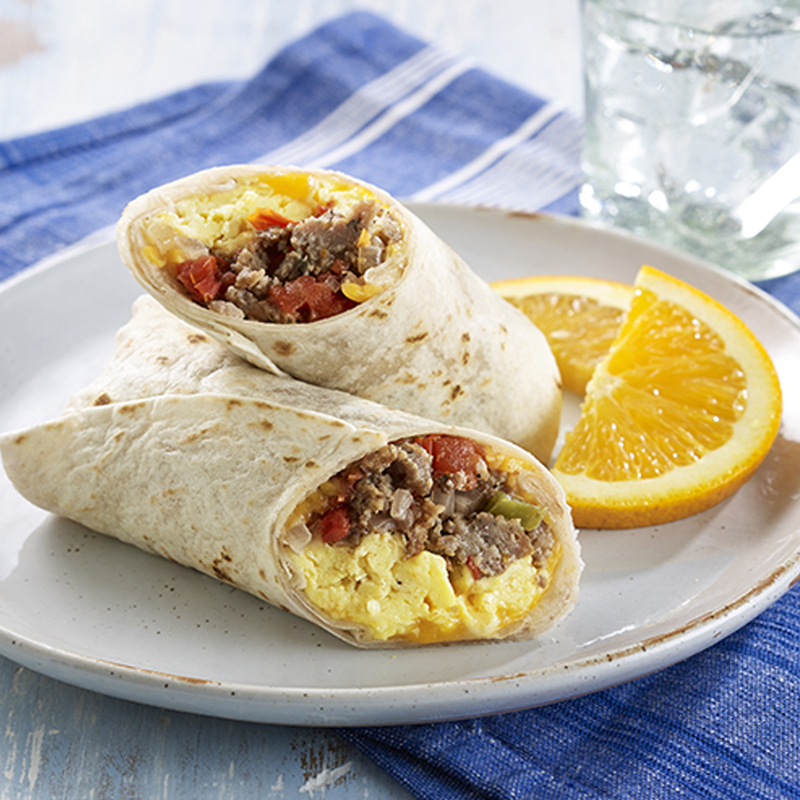 Cut each wrap in half and place each one on to your stainless taco serving tray. Cook the quinoa according to the manufacturer’s instructions. In the meantime, prepare your vegetables. Peel and chop the onion, seed and dice the chili and red pepper. Heat a sauce pan and add a little bit of oil. Transfer the onion, chilli, and red pepper and sauté for about five minutes until they begin to soften. When the quinoa is ready, take a wrap and fill it with the vegetables mix, corn, and black beans. Add a bit of guacamole and sour cream, plus a dash of BBQ sauce, if you like. Roll and enjoy. For an easier and more worry-free dieting, you can most definitely prepare these healthy wraps ahead of time. Place them in your stainless steel taco holders, cover them in plastic wrap, and pop ‘em in your fridge. Once it’s time to eat them or bring them as your office lunch, just reheat them in your oven before packing them up. Such a shame if you still don’t have these super helpful taco holders in your kitchen-- so if that’s the case, just head right here and get yours today! Your body needs fiber-- period. And we’re pretty sure everyone knows it’s a fact. But underneath that is a rather sad truth: regardless of its availability and accessibility, most people don’t get enough fiber that’s right (or needed) for their age. While knowing its plethora of health benefits like preventing constipation, aiding in weight loss, and improving heart health, taking fiber daily is not as important as taking vitamin C to most people. Without enough fiber in your body, you’ll have more cravings; leading to excessive snacking and eventually to weight gain. You’ll be more likely to have high cholesterol. You’ll have more acne troubles and dull skin. You’ll have less energy and won’t be able to sleep well. And if you have diabetes, you could expect more complications. Now why do I need supplements? Don’t get us wrong, it IS good to get your fiber from food. Foods that are rich in fiber give us other essential vitamins and minerals at the same time. But because it’s quite impossible (and sad) for someone to eat only fiber-rich foods every single day, and there are other factors like allergies, gluten-intolerance, and the like, experts developed ‘supplements’--hence the name. Simply put, fiber supplements aren’t meant to replace fiber-rich foods. They’re meant to make sure your body is getting exactly the right amount of fiber it needs. And don’t forget, taking supplements is never an excuse for poor eating habits. So what exactly will I take? Let’s get set aside the good eating habits and balanced diet off the table for now because we all know that’s pretty much the golden rule. Not all fiber supplements are the same. They come in many forms, from capsules to powders to chewable tablets. They contain what’s called “functional fiber,” which may be made from a lab or extracted from natural sources, just like our Zero for Him capsules. Before choosing which supplements to take, it’s best that you understand soluble and insoluble fiber. Soluble fiber absorbs water for food and slows down digestion, making you feel full for a longer period of time. While Insoluble Fiber is the one responsible for accelerating the passage of food and waste in the body and it doesn’t absorb water. To get all the benefits, here’s what you need to do: eat a healthy variety of fiber-rich foods and choose a fiber supplement that both has soluble and insoluble fiber. They say ‘too much of something is bad enough’. With the case of fiber supplements, that still is true. Although there’s no concrete evidence showing that taking fiber supplements is harmful, some do have side effects, and these you need to be aware of. Fiber supplements can cause abdominal bloating and gas, at the very least during the first few days or weeks, depending on your health, diet, and body. And if you do have a history of having intestinal problems, talk to your doctor first before taking any. Some supplements can also make it harder for your body to absorb some medications like aspirin and certain diabetes medications. In conclusion, if you’re planning on taking fiber supplements (especially for the first timers), consult your physician first and start with small amounts or dosages. And always remember that when your body has more fiber, you need to drink more water. Did your friends just plan another quick get-together at your place and were you one of the last people to know about it (again)? Not to worry because we’ve got you covered! We’ve carefully handpicked some of our favorite most delicious appetizers you can whip up in your kitchen in just a few minutes. Preheat oven to 350 degrees. Place feta in middle of a 9-inch pie dish. Pour oil over cheese; sprinkle remaining ingredients on and around it. Cover with parchment-lined foil and bake until heated through, about 40 minutes. Let cool slightly before serving with crackers or crostini. Unroll crescent dough into two long rectangles; seal seams and perforations. Spread each with pesto; sprinkle with red peppers and cheese. Roll each up jelly-roll style, starting with a short side. With a sharp knife, cut each roll into 10 slices. Place cut side down 2 inches apart on two ungreased baking sheets. Bake at 400° for 8-10 minutes or until golden brown. Serve warm with pizza sauce. Preheat oven to 400 degrees F (200 degrees C). Line baking sheets with aluminum foil. Season steak all over with salt and ground black pepper. Heat 1 tablespoon olive oil in skillet over medium-high heat. Cook steak in hot oil, turning occasionally, until meat is slightly firm and pink on the inside, 5 to 7 minutes. Transfer meat to a plate. Return skillet to heat and pour water into the skillet; bring to a boil while scraping the browned bits of food off of the bottom of the pan with a wooden spoon. Pour liquid from the skillet over steak. Cool steak to room temperature; dice meat and place meat and accumulated juices from the plate into a large bowl. Heat 1 tablespoon oil in a skillet over medium-high heat; saute onion and peppers in hot oil until softened and slightly translucent, about 5 minutes. Stir peppers and onions mixture into diced meat; season with salt and pepper. Spread bread slices out on prepared baking sheets and drizzle remaining olive oil over the top. Turn slices over so that the oiled-side is facing down. Spread a thick layer of cheese mixture onto each slice. Spoon meat mixture over cheese. Sprinkle provolone cheese over the top of each slice. Bake in the preheated oven until browned and cheese is melted, 12 to 15 minutes. Preheat oven to 400 degrees. Wrap each bacon piece around a potato and secure with a toothpick. Place in a baking dish and bake until bacon is crisp and potatoes are tender when pierced with a knife, 40 to 50 minutes. Brush each one with the sauce. Serve immediately. In a large bowl, whisk together egg, mayonnaise, Old Bay, and 1/2 teaspoon salt. Fold in crabmeat to evenly coat (do not overmix). Generously dust a parchment-lined rimmed baking sheet with cornmeal. Divide crab mixture evenly into 12 portions, forming each into a 2-inch-diameter, 1-inch-thick patty. Transfer to prepared baking sheet. Dust tops of crab cakes generously with cornmeal and chill in refrigerator until set, at least 1 hour (entertain your guests first). Stir together celery, cucumber, juice of one lime half, and a pinch of salt; set aside. Heat 2 tablespoons oil in a large nonstick skillet over medium-high. When oil shimmers, add half of crab cakes and reduce heat to medium. Cook, undisturbed, until a golden-brown crust forms on bottoms of cakes, 4 to 5 minutes. Gently flip and cook until golden brown on other sides, 4 to 5 minutes more. Transfer to a platter and loosely cover with foil to keep warm. Wipe skillet clean and fry remaining cakes in remaining 2 tablespoons oil. Squeeze remaining lime half over crab cakes. Serve warm, topped with celery mixture. Best thing about finger food and appetizers is, with just the right presentation and serving accessories, your party table will look well-prepped and planned for! So while you’re busy thinking of the food, don’t forget to ready these lovely square ramekins-- perfect for any type of get-together!